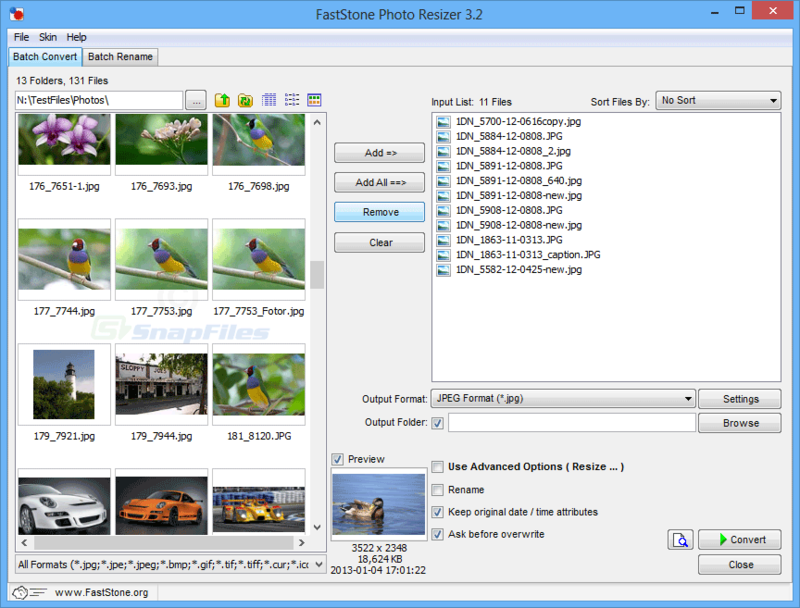 RIOT (Radical Image Optimization Tool) enables you to reduce the size of image files by compressing and optimizing them to achieve a smaller file size while maintaining adequate image quality. You can set the desired image... Offers to install promotional, third party software. Image Tuner is a batch image resizing tool that allow you to process a number of photos and apply the same settings to all of them. It offers several resizing profile as well as options to specify custom dimensions or resize... Offers to install promotional, third party software. J2K Converter enables you to convert JPEG 2000 image files to BMP format. You can convert individual images, or entire folders at once. Looking for more choices? There are 12 more downloads in our Image Resizing (Shareware) category.